The city partnered with the Getty Conservation Institute to compile the comprehensive look at our city's past. 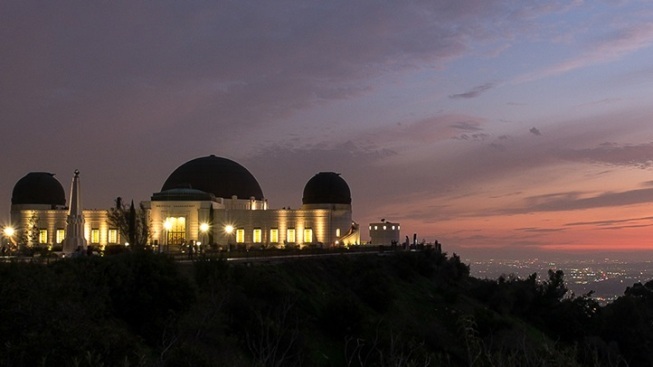 Historic LA destinations and landmarks, like Griffith Observatory, now have a large, preservation-minded homebase: HistoricPlacesLA.org, a joint project from the City of LA and the Getty Conservation Institute. When you ponder the many places possessing reputations extending well beyond their borders, Los Angeles is at the tippy top of the outlandish heap. We've been dismissed as a city solely enamoured with shiny objects, a loopy location with runamuck architecture, a metropolis with a collective memory that reaches all the way back to last Thursday afternoon. It's all poppycock, of course, but this longstanding wrongheaded rep has served LA rather well; in short, it has been a galvanizing force of sorts. Preservation-minded advocates and lovers of bygone eras and steamed citizens who really adore that turquoise-hued dingbat building on their block rallied against this mindset for years, protecting, in the process, a rather robust landscape of historic sites. And the City of Los Angeles and the Getty Conservation Institute just spent the last decade and a half cataloging these places, for good (as in permanently) and for good (as a positive tool for all Angelenos). HistoricPlacesLA.org, which was unveiled on Tuesday, Feb. 24, is the impressive result. HistoricPlacesLA.org is "the first online information and management system specifically created to inventory, map, and describe Los Angeles' significant cultural resources." The creators hope that the system will serve "as an important tool for protecting and preserving the character of Los Angeles' distinctive neighborhoods as the city continues to grow and change." Hooray that. And what others may call "runamuck architecture" or "streets that look like every flavor in the ice cream case" we call "distinctive neighborhoods" and "buildings of unique character." And we love them, oh yes we do, be they loopy or a landmark or somewhere in the middle. But traditional structures aren't the only places getting that love. Parks, streets, gardens, and a whole complement of Southern California chunks, be they huge or bitty, are part of HistoricPlacesLA.org. Is there a handy map view, you're wondering, to behold all of this municipal memory-keeping? Oh, there is indeed. SurveyLA, by the by, has done the gathering of information, which is no small task, thanks to our big-of-size, big-of-everything megacitylopolis. "Prior to 2010, only 15 percent of the city had been surveyed for historic resources," reveals the Getty, but SurveyLA has brought that number up to "75 percent complete." This is a win for both preservation groups and developers, too, who may want to consider "adaptive reuse projects" inspired by information found within the HistoricPlacesLA.org system. Want to see if the places that carry a lot of story and local meaning for your neighborhood or street are in the list? HistoricPlacesLA.org is live.